"ALGORITHMS: New 3DTV format to be demo'd during Super Bowl"
"MEMS: Solution proposed for temperature stability problem"
Microelectromechanical systems use silicon processing techniques to craft resonators on CMOS chips, replacing quartz crystals for time bases. But silicon is not as stable a material as quartz, requiring chip makers to add active temperature compensation circuitry that increases power consumption. Silicon Clocks Inc. (Fremont, Calif.) claims to have solved the stability problem with a passive approach that compensates for temperature with materials that consume no power but achieve results rivaling quartz crystals. 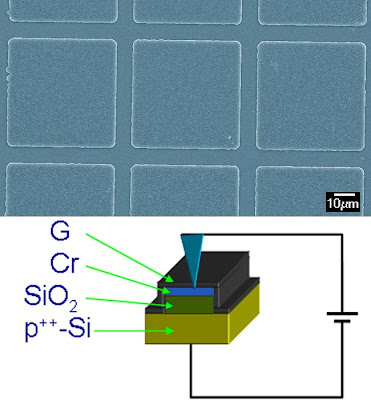 Quartz crystals typically provide frequency stability from 0.25 to 1 parts per million per degree Celsius compared to 15 to 30 ppm/degreeC for typical MEMS resonators. The new temperature compensation scheme, called CMEMS-ZeroThermal, delivered a 30-fold improvement in frequency stability of 0.5 to 1 ppm/degreeC, the company claims. "MEMS: Low-power MEMS oscillator debuts"
SiTime Corp. (Sunnyvale, Calif.) claims to have lowered the power consumption of its MEMS oscillators to less than half that of competitors' chips. Available in a 0.25 millimeter package, the SiT80x3 family of MEMS oscillators can also supply two related frequencies. "ENERGY: Fuel vaporization could boost gas mileage, cut emissions"
Piggyback electronics and an add-on "vapor chamber" could be used to increase the mileage of existing automobile and truck engines by almost one-third while lowering emissions. Vapor Fuel Technologies (Beavercreek, Ore.) claims it accomplishes this by vaporizing fuel and mixing it with super-hot air, enabling modified electronic control circuitry to coax the same horsepower out of engines while burning less fuel and cutting emissions. The company plans to offer retrofit kits for American vehicles within a year, and hopes to close deals to include its technology on new models from U.S., European and Asian auto makers by 2010. "CHIPS: Freescale offers free software license with microcontroller purchase"
Freescale Semiconductor is offering complimentary software valued at $95,000 to engineers choosing its microcontrollers for industrial connectivity, smart appliances, medical handhelds, factory automation and other industrial control applications. "ENERGY: Solar cell maker expands U.S. manufacturing base"
SolarWorld AG, one of the oldest makers of photovoltaic cells, said it is continuing to expand its U.S. manufacturing operations despite the global economic recession. The German company's fourth quarter results are not in yet, but the company claims it grew by over 51 percent in the first nine months of 2008 while continuing to expand its U.S. manufacturing capacity. SolarWorld recently opened a new facility in Hillsboro, Ore., with nearly a 500,000 square feet of semiconductor-grade manufacturing areas, making SolarWorld the biggest U.S. manufacture of photovoltaic cells. "PODCAST: Week in Review, Jan. 16, 2009"
This week my top stories include the first horror film to use modern 3D technology, a new solid-state lighting breakthrough that multiply efficiency, a green energy advance that harvests trace power sources and an optical fiber technology that can detect Gaza tunnels. "ALGORITHMS: 'Slasher' film projects state-of-the-art 3-D"
The first horror film to be encoded with modern 3-D technology opens this weekend. 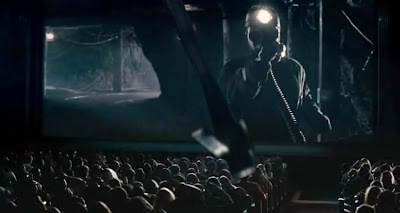 A 3-D remake of the 1981 independent film, "My Bloody Valentine," uses RealD Cinema's stereoscopic encoding process, enabling viewers to experience state-of-the-art 3-D by wearing polarized glasses in a theater. The horror film is the first of 14 stereoscopic 3-D films to be release in 2009 using the RealD encoding process. 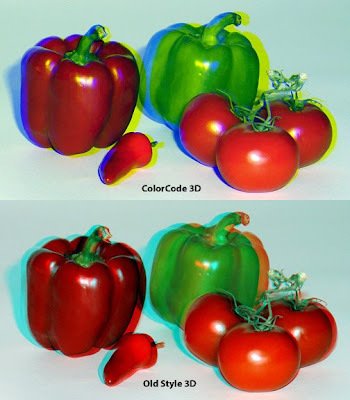 Its developer claims a large patent portfolio of 3-D video technologies, with some of its over 150 patents dating back to the work of chief technology officer Lenny Lipton, who pioneered 3-D with his company, StereoGraphics, which was acquired by RealD in 2005. "ENERGY: New LED materials inspire solid-state lighting advance"
More efficient light-emitting diodes (LEDs) are increasingly being used for solid-state lighting, and researchers say technology advances could expand their use. Researchers at Samsung Electro-Mechanics and Rensselaer Polytechnic Institute (RPI, Troy, N.Y.) claim that LED manufacturers will have to consider licensing their patent-pending material to remain competitive. "ENERGY: Green energy boosted by analog circuitry"
Energy harvesting could get a boost from an analog circuit that harnesses the lowest power outputs from individual photovoltaic cells, thermoelectric generators and electromagnetic sources, according to its developer. Advanced Linear Devices Inc. (ALD, Sunnyvale, Calif.) said it increased the output of green power sources with an array of zero-threshold transistors called a super voltage booster. The energy-harvesting modules can now harness even the trace output power from sources under 1 volt. 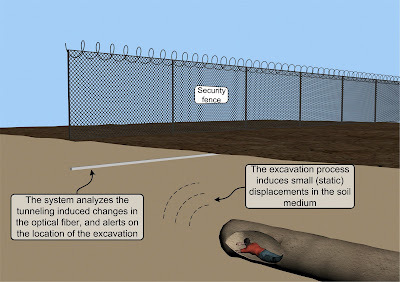 "OPTICS: Gaza tunnels detected with fiber optics"
Detecting tunneling activity under the security fence separating Gaza from Egypt could be accomplished through a buried fiber-optic cable, according to researchers at the Technion-Israel Institute of Technology (Haifa, Israel). 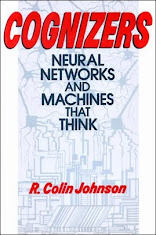 By combining a neural network with Brillouin optical time-domain reflectometry, small tunnels can be sensed by the buried optical fibers, researchers claimed. 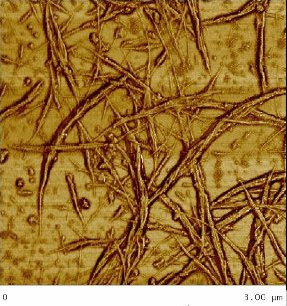 "MATERIALS: DuPont mixes nanotube ink"
Carbon nanotube ink with 10 times the electron mobility of typical organic semiconductors has been developed using a new chemical process that helps solve the thorny problem of manufacturing nanotube thin films. DuPont and Cornell University researchers claim 100 square centimeter per volt-second electron mobilities for its new process, compared to 10 square centimeters per volt-second for typical organic semiconductors. 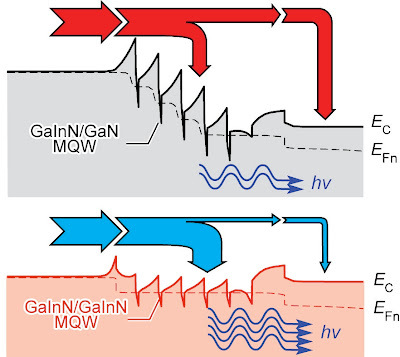 Current manufacturing processes for carbon nanotubes create a mixture of both semiconducting and metallic nanotubes, degrading the quality of thin-film transistors. DuPont claims to have solved that problem with a simple chemical treatment process called cycloaddition that uses fluorine molecules to negate the effects of metallic nanotubes. The result is pure semiconducting films. BOTTOM LINE: DuPont's process could enable organic semiconducting thin films of carbon nanotubes to be printed at low temperatures on cheap flexible plastic substrates. If DuPont can bring its process to market, then semiconducting nanotubes could be cheaply mass produced for flexible electronics and plastic solar cells. However, 100 square centimeter per volt-second electron mobilities are still 100-times less than silicon-chip mobilities, so don't expect silicon to be obsoleted any time soon. "WIRELESS: Portland deploys mobile WiMax"
Service provider Clearwire Corp. offers 4G wireless connections via mobile WiMax to 1.7 million potential subscribers in Portland Ore. 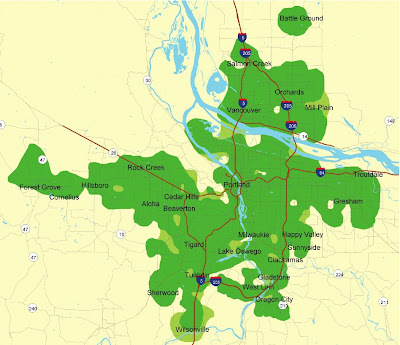 The "Clear wireless network" launched this week includes over 300 cellphone towers equipped with WiMax basestations which cover most of the Portland metropolitan area. Subscribers would pay $20 to $50 per month for access to wireless broadband via USB modems for mobile users or using a WiMax-enabled Ethernet router. BOTTOM LINE: WiMAX has a two year head start on the mobile phone carrier's preferred voice-over-IP solution called LTE (Long Term Evolution) that leverages existing 3G cellular network infrastructure, but which will not be widely available until 2011. The speed at which WiMAX is adopted, and the availability of WiMAX-enabled handsets, will determine whether LTE and WiMAX coexist or obsolete one of the other. Video: WiMAX Deployed in Portland Ore.
"ENERGY: Energy-harvesting RF chip aims at Mars, Earth"
Energy harvesting radio technology targeted for future Mars missions could make use of a single-chip microtransceiver being developed at Kansas State University. The device uses a silicon-on-sapphire CMOS process from Peregrine Semiconductor Corp. (San Diego) that was developed with NASA funding. 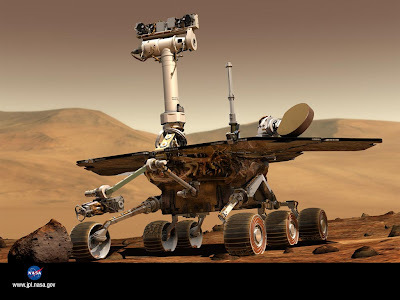 The low-power integrated RF functions of the CMOS transceiver can operate in the harsh Martian environment. 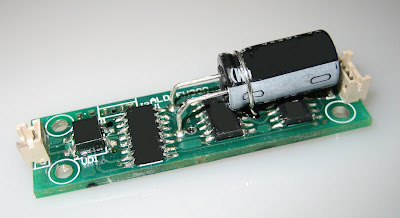 Commercial applications include using energy harvesting to power radios for remote wireless sensors. "PODCAST: Week in Review, Jan. 2, 2009"
This week my top stories include how LED lights could save trillions, how carbon-based memory chips beat flash, how flexible plastic electronics just got easier to make and how carbon nanotubes can be used to augment human performance. "MATERIALS:Graphene memories denser than flash"
Graphene sheet memories at least twice as dense as flash and using a novel two-terminal architecture are being developed by researchers at Rice University. Graphene, which is composed of thin films of pure carbon atoms not rolled into nanotubes, have been used for ultra-fast transistor prototypes at IBM and elsewhere, but a group led by Rice professor James Tour is the first to report fabricating simpler, two-terminal memory devices using graphene.